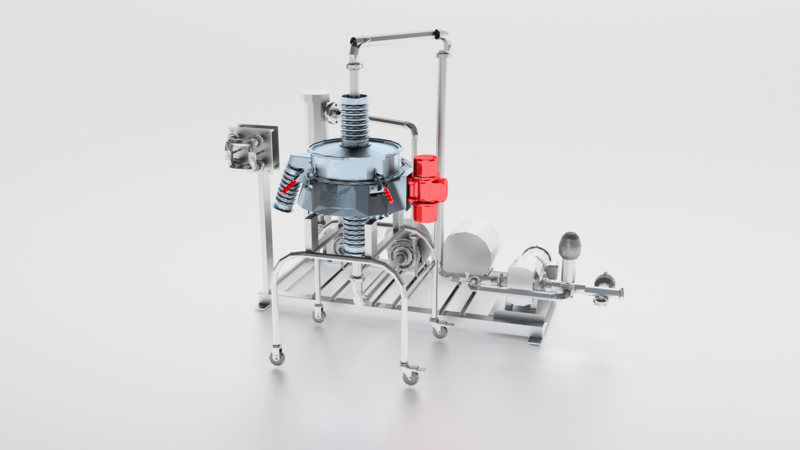 Coctio offers a complete line of individual industrial process equipment available for the food industry. Our portfolio includes bone broth, soup and sauce process equipment and drying equipment for both small and larger capacities and production requirements. Coctio bone broth process modules are specifically designed to follow the traditional manufacturing method of bone stock from meaty bones to produce additive-free broth, stock, soup, demi-glace and types of sauce products and ready-meal applications that meet the strict quality and taste standards of Michelin Star level chefs - consistently and cost-effectively. All Coctio machines are built in stainless steel and are CE marked. The equipment complies with the requirements of European Directives on Machinery design and Hygienic and Safety standards. The equipment and production lines are documented as to their Compliance for Food-Grade Product Manufacturing material certificates. You can either purchase individual equipment or entire processing line with complete, fully optimised process modules. Their scalability also provides an excellent opportunity for easy plant expansion and business growth. Coctio provides downloadable data sheets for its machines. Data sheets include a brief description of equipment functionality in a process and technical and component information. 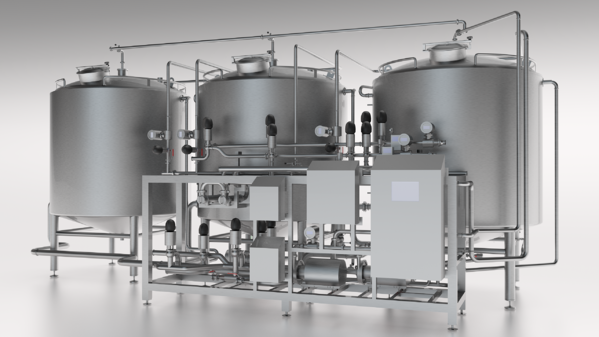 Equipment data sheets are grouped by product family for small and larger-scale bone broth and sauce equipment and industrial drying equipment. To view the equipment data sheets, simply select a machine from a listing below. The Coctio Small loading module lifts and tips the containers into a collector where bones are dropped onto o heated vibrating platform which will spread them evenly to the width of the oven module conveyor belt. Loading module includes lifting and tipping equipment and electrically-heated vibrating platform. 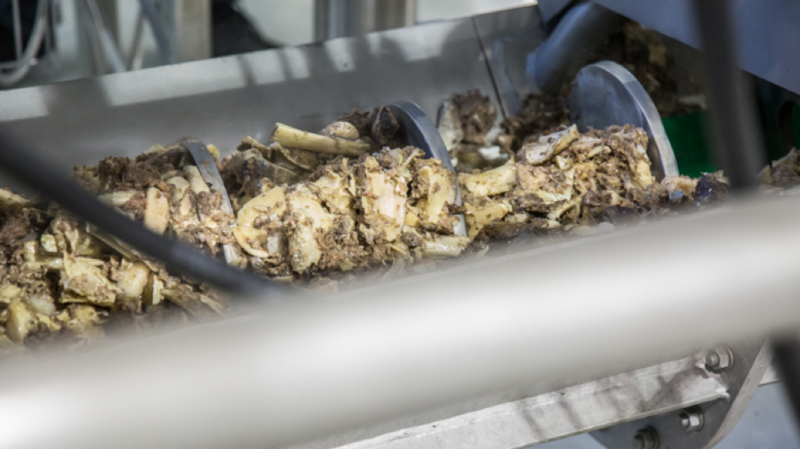 The fully-automated roasting process for bones and other ingredients, such as vegetables used in the production of natural bone broth, broth concentrates, demi-glaces and sauces. The ingredients to be roasted move through the oven on a carbon steel conveyor belt. The fat that melts during the roasting process is recovered and pumped out via heated pipes for further processing in a separate fat storage tank. Easy and quick cleaning: The external parts of the oven are cleaned with a foam cleaning device and hot water (use of cleaning hatches). Cleaning of the internal parts and conveyor belt cover is done by way of pyrolysis, which means heating the oven to 320 °C. Optionally, the internal parts and output of the oven and under the conveyor belt can also be cleaned with the automated CIP system. The fully-automated Coctio Small Cooker module is ideally suited for natural and functional bone broth cooking with lower capacity compared to our Standard Cooker module. The traditional cooking method using the meaty animal bones as raw material is controlled by the help of specially designed a closed cooking vessel and Coctio automation. All this make it easier to maintain the natural texture, colour and aroma of the broth product without any order additives and preservatives. Thanks to the modular design, production can easily be sized to fit your growing capacity requirements only by adding the cooker modules into a production line. Easy and quick cleaning: The external parts of the cooker are cleaned with a foam cleaning device and hot water. The internal parts can be cleaned with the automated CIP system. The Coctio automated filtration equipment is used to filter and remove any remaining tiny particles from the bone broth and the fat. 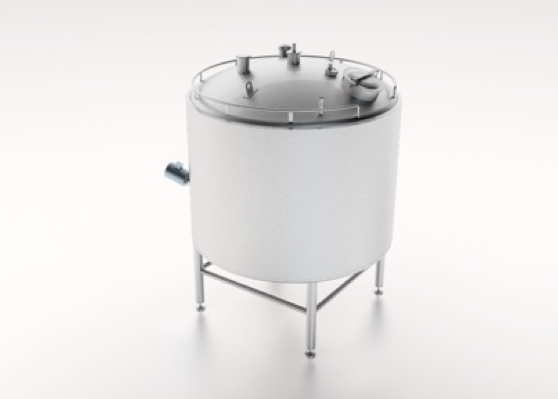 The temperature-controlled Coctio Small Broth Product tank for temporarily storing raw broth in safe conditions during a production run. 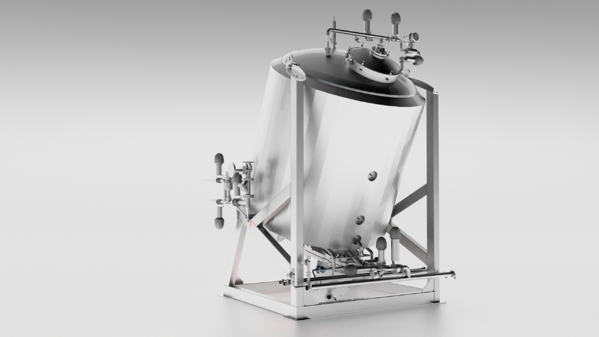 The fully-automated sauce preparation module allows you to create sauces and soups using ingredients in liquid, powder and/or particle form. 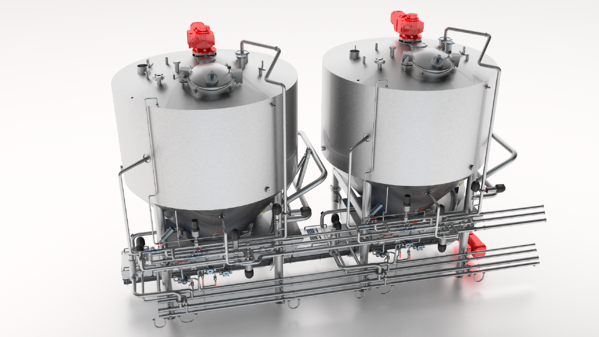 Ingredients are introduced into the vessel by a lifting and tipping mechanism, or via a powder pump or pipe connections to other liquid storage tanks. 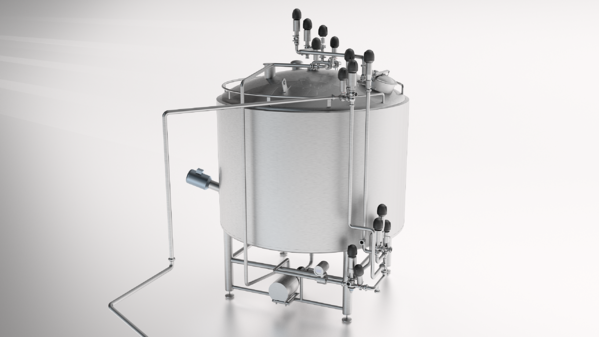 The tilted state of the vessel helps create a more efficient mixing environment that replicates the way a restaurant chef would mix in his professional kitchen. Soups with or without particles Any type of soup can be produced using bone broth or using other broth bases. 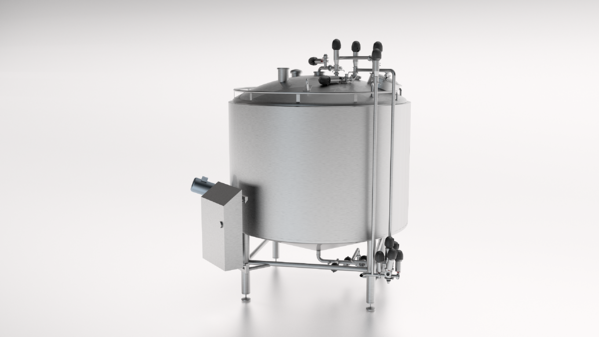 The temperature-controlled Coctio Small End-Product tank for storing product in safe conditions during a production run. The automated Coctio Small fat purification equipment purifies fat coming from roasting and cooking process and store outside. Its purpose is to remove the unwanted particles or other liquids from the generated fat, leaving it with a clear, sediment-free pure fat which can then be used as a raw material in food manufacturing or sold to other industries. 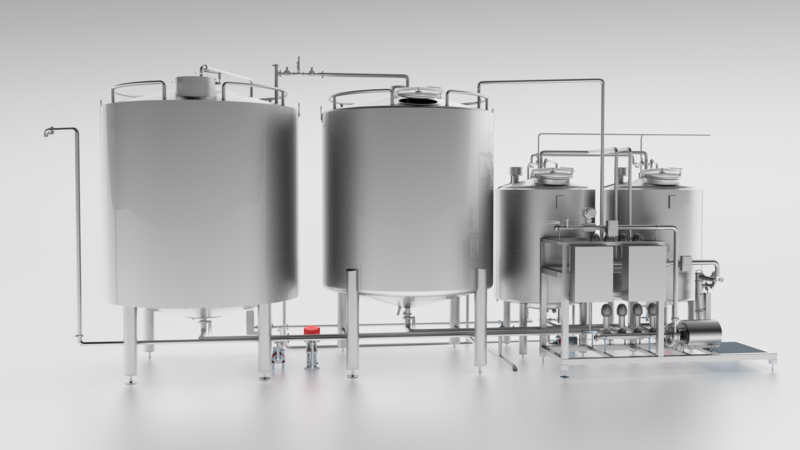 1-line CIP automated system with pre-mixed alkali and acid tanks used to save time and energy in clean the interior surfaces of bone broth and sauce process pipeline, processing vessels, tanks and associated fittings without disassembling the manufacturing process. Washing liquids pre-mixed allowing faster turnaround, clean returning water recovered, dirtiest returning liquids disposed into sewers. 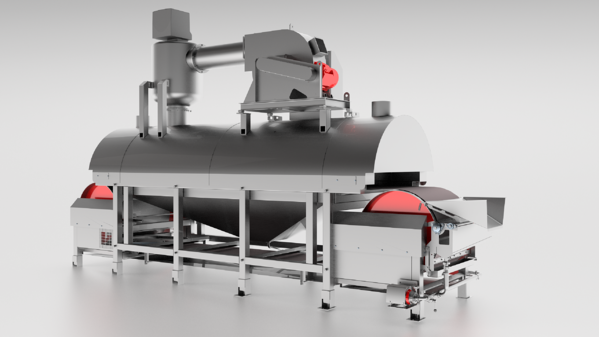 The Coctio loading module is an automatic infeed system designed to feed animal bones and vegetables automatically onto the moving roasting oven conveyor belt or into a cooker module. Loading module includes bones and vegetable bins lifting and tilting unit, double screw conveyor and heated vibrating table. 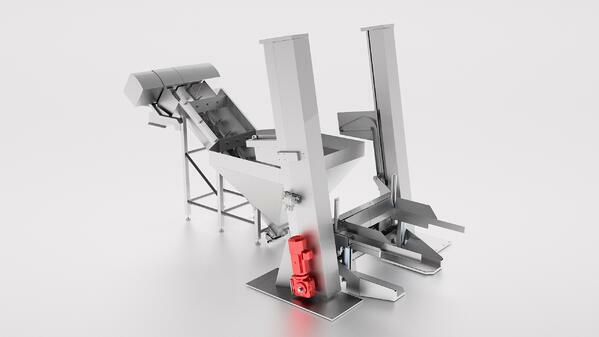 High throughput with a feeding capacity of a minimum of 4 tons of bones /hour. Easy and quick cleaning with a foam cleaning device and hot water. 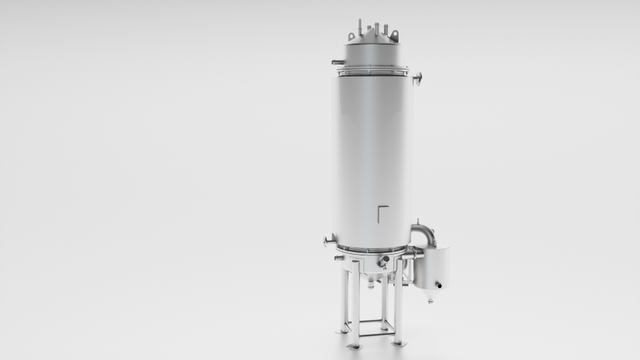 The Standard Oven module is specially designed for the large-scale roasting of animal bones and vegetables used in the production of natural bone broth and derivative products. The Standard Coctio oven setup can be build of 1, 2, 3 or 4 modules in large-scale production. 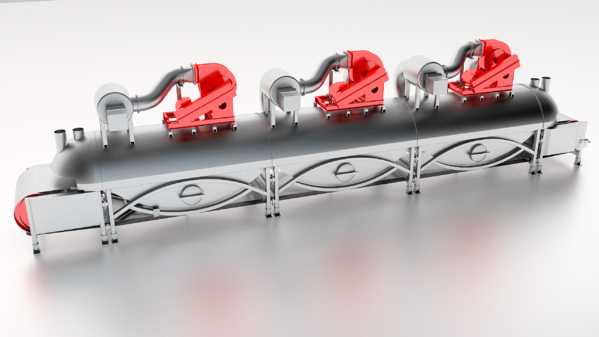 The Vacuum pipe module is designed to transport roasted material, such as bones and vegetables by air flow from the end of the oven to the specified cooking kettle. The bones are fed into the VAC tube via a feeding platform attached to the end of the oven. Easy cleaning of the internal parts of the tube with an automated CIP system. The external parts are washed manually. The fully-automated Coctio Standard Cooker module is your choice when you want to produce large batches of bone broth at a time. The Standard Cooker efficiently yields a high-quality product for all of your processing needs to supply high-quality 100 % natural broth and derivative applications, such as demi-glace, soups and ready sauces. The traditional cooking method using the meaty animal bones as a raw material is controlled by the help of specifically designed a closed cooking vessel and Coctio automation. All this make it easier to maintain the natural texture, colour and aroma of the broth product in order to avoid additives. Thanks to the modular design, production can easily be sized to fit your growing capacity requirements only by adding the cooker modules into a production line. The number of cookers on large-scale production can be from 1 up to 18 modules integrated into a line. The Coctio automated filtration equipment is used to filter and clarify the bone stock and the fat from any remaining tiny particles that could remain the product after the cooking process. The temperature-controlled Coctio product tank for temporarily storing the raw broth product in safe conditions during a production run. The fully automatic Coctio Standard Evaporation equipment is your choice when you want to create large batches of condensed bone stock, sauce bases, ready sauces and soups with or without particles. 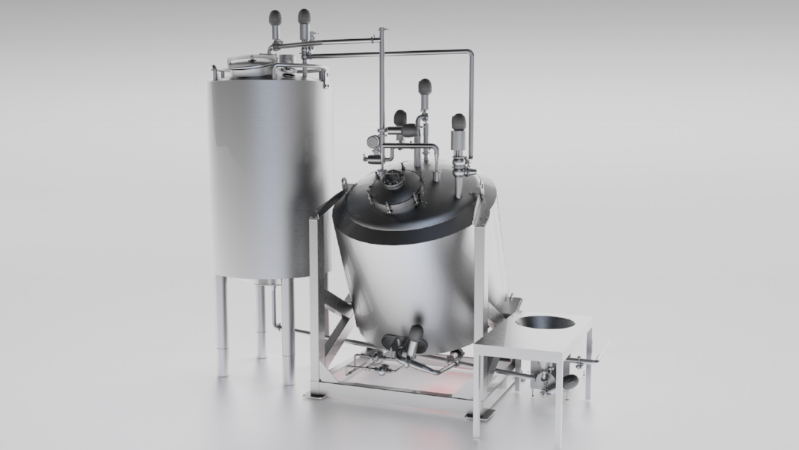 Like in our small-scale sauce preparation module, this large volume evaporation process replicates the same process that restaurant chefs would use in their own kitchen to get a superior quality on their natural taste food products. The module includes an evaporator, mechanical vapor recompression fan, product tank and BRIX measurement tool that will stop the process once the desired BRIX level is reached. 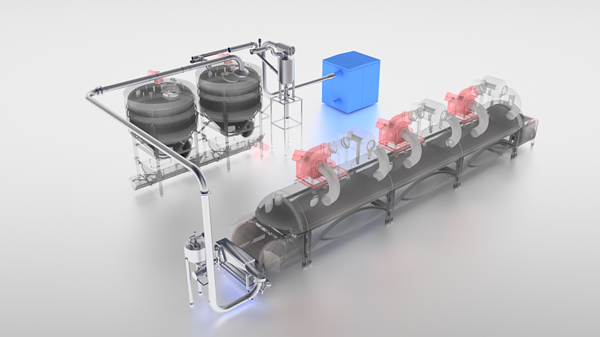 Energy efficient process with the mechanical vapour recompression fan requiring very little steam to keep the evaporation process going until the desired end-product consistency is reached. The temperature-controlled Coctio Standard End-Product tank for storing product in safe conditions during a production run. 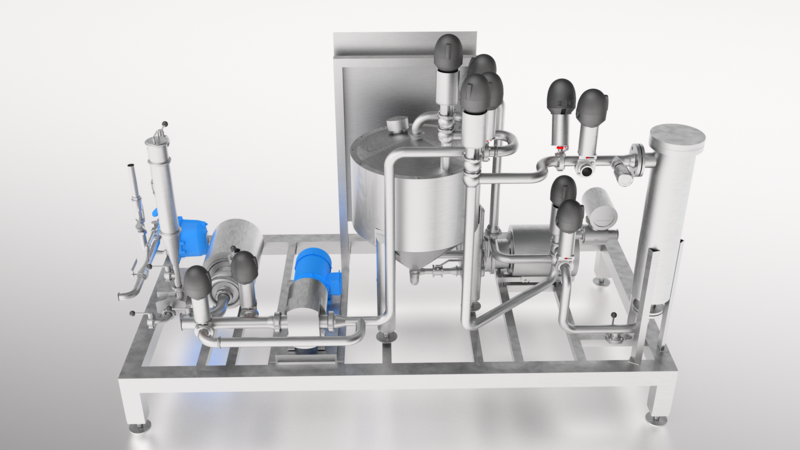 The Coctio Standard CIP cleaning system is an automated system used to clean the interior surfaces of bone broth and sauce process pipeline, processing vessels, tanks and associated fittings without disassembling the manufacturing process. The automated Coctio Standard Fat clarification equipment handles the fat that emanates from the bones roasting and bone broth cooking process. Its purpose is to remove the unwanted particles or other liquids from the fat, leaving it with a clear, sediment-free pure fat which can then be used as a raw material in food manufacturing or sold to other industries. Coctio Conveyors are used to transferring raw materials to designated locations. Uses include feeding cooked bone residue after broth cooking to the SHS dryer for further processing into meat protein and bone powder. Coctio provides both large and small scale industrial SHS dryer equipment and systems that are ideally suited to dry animal bone by-products generated from the food processing industry and process various other applications from other industries, such as sludge and sewage material streams. 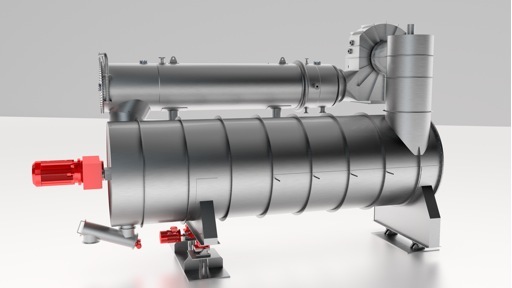 The Coctio SHS Dryer module is steam heated and specially designed for continuous drying of animal bone by-products and other industrial material streams. 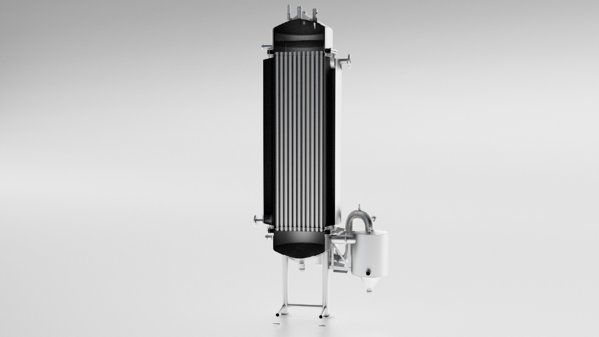 The module consists of the main drying chamber mixer, steam heater and other components offering maximum evaporation capacity in a compact design. 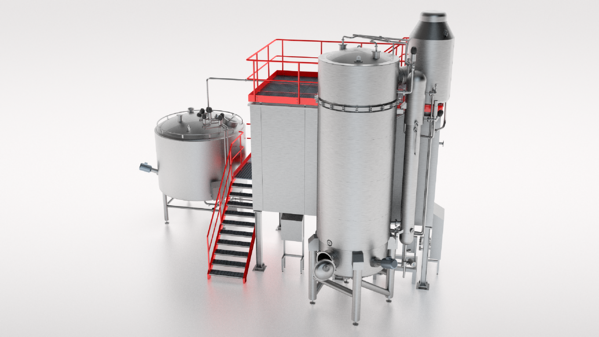 The Coctio Dryer can be built in different sizes to suit various plant capacities. 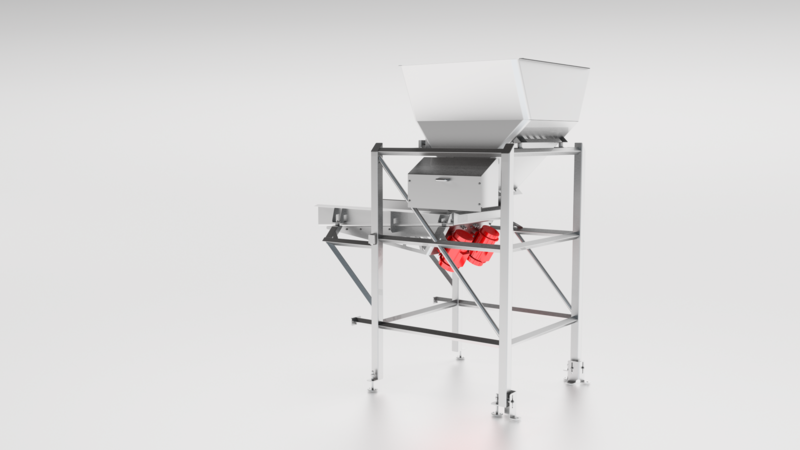 The drying system can be purchased either as an individual equipment entity or it can be connected to the Coctio bone broth and sauce line, in order to dry and upgrade the value bone residue resulting zero animal bone waste in the process.